You can take a couple of security measures to prevent bot blasters spamming you using the JotForm Forms. You can follow the suggestions below. 1. 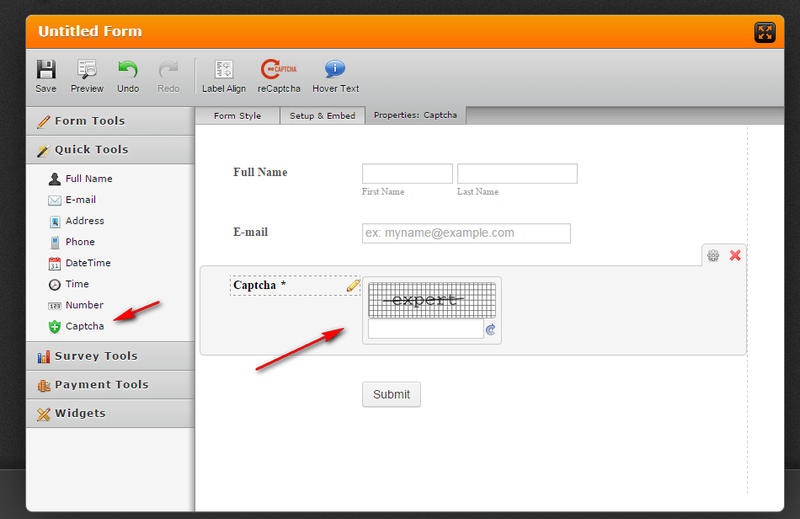 Using the Captcha field in the form editor. This is the most common way to check if the person doing the submissions is a real person. 2. You can also setup the form to have a Unique Submission limits. Under Setup & Embed->Preferences->Form Limits. Loose Check-> Limits the computer/device where the form is being filled out using the current the cookies being used. This will prevent to do multiple submissions, unless they clear their cookies or use another web browser. Strict Check-> Limits the computer/device where the form is being filled out using its IP Address, to where one IP can only have one submission. 3. Another way is to have a custom hidden field to where the Bot Blasters will fill out automatically without knowing. 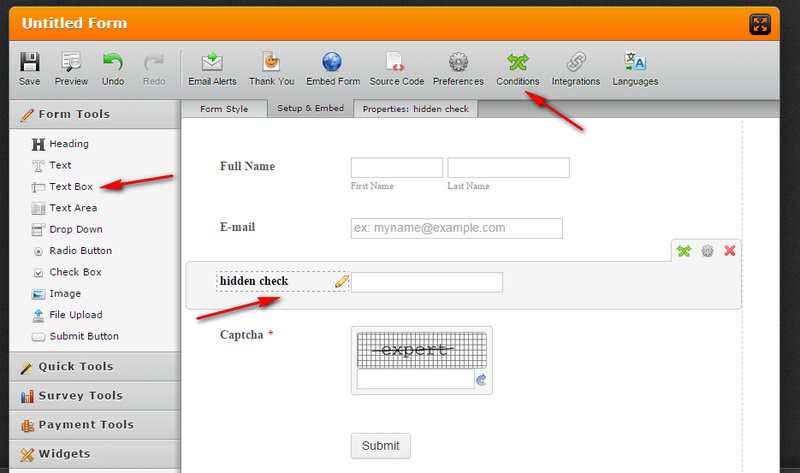 3.1 Add a textbox field, in my case its named "hidden check". This will not be filled out by the user. 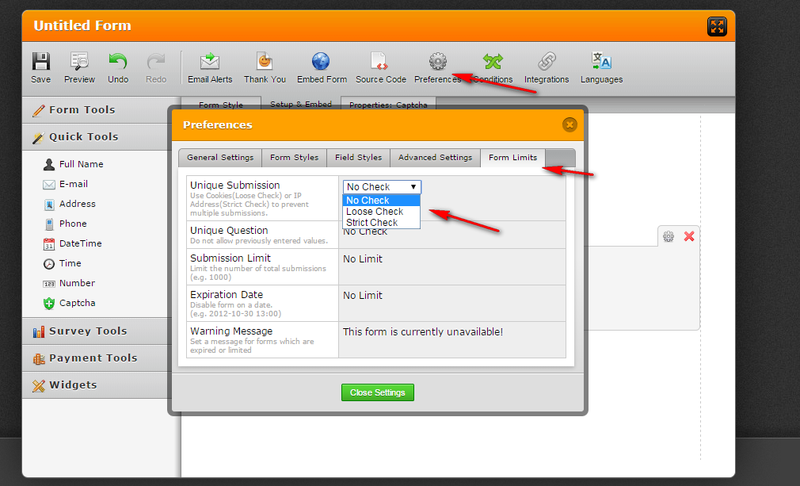 3.2 Under "Setup & Embed" click the "Conditions" setting to add a rule or logic in your field. 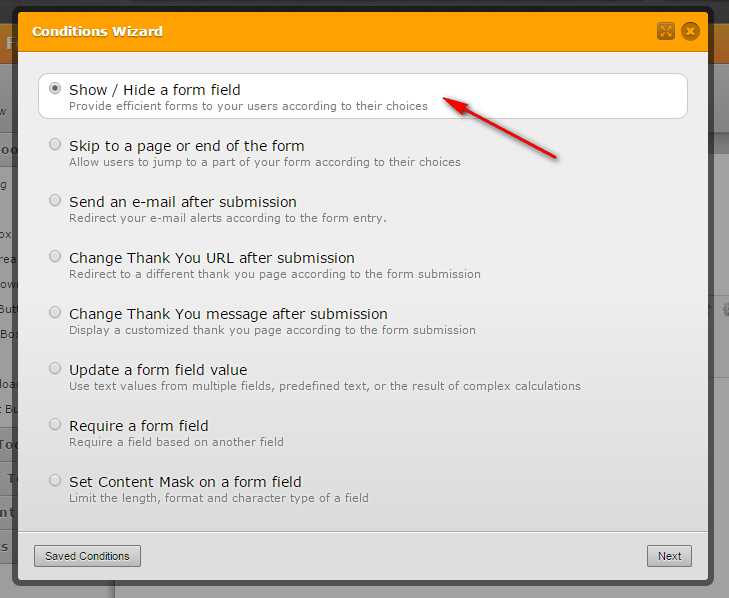 Choose in the Conditions Wizard the "Show / Hide a form field". 3.3 Here what we are saying is that, if the "hidden check" is filled, the "Submit" button will be hidden, thus preventing the form to be submitted. I hope this methods would help or give you an idea. We really don't want spammers, same with Phishing and other activities that violates our terms, that is why our management and developers are continuously improving JotForm. If you have any concerns or need any assistance with your Jotform form, we suggest that you open a new thread here in the forum.